Broadcast has always had broad horizons, but to mark next week’s Mip TV we have given this issue a truly global perspective. That means revealing fresh strategies from ITV America and Discovery Networks International, and lifting the lid on one of the few successful new entertainment formats, Lip Sync Battle. Plus there’s a comprehensive assessment of the size of the prize in the US for UK scripted producers and a vital guide to what’s on offer in Cannes - our Mip TV Hot Picks. We think our fresh approach demonstrates just how vital the international market is to the UK, and UK is to the international market, so expect to see the same dedicated issue for Mipcom in October. Tim Hincks’ departure from Endemol Shine Group is a significant moment for the business – and not just because its creative board meetings will now no longer begin with 45 minutes of stand-up comedy. With so many senior-level departures, it’s impossible not to feel that this is a new era for the super-indie, and there were many jokey acknowledgements of just that at Hincks’ leaving bash last week. Merging companies is never a painless process and a key challenge facing chief executive Sophie Turner Laing and incoming chief creative officer Peter Salmon will be to identify and nurture the next generation of the company’s creative talent. They are confident that talent is in place, but it will need significant support and time to bed in. ESG has plenty of big shows on air and in production in the UK, and it isn’t going anywhere – but it will need to reassert its creative credentials across the piece. With so many newly launched indies, led by so many established names, commissioners have never had so many options. There are plenty of buyers out there, too, as Channel 4 discovered this week. Its spat with ESG over the next run of Black Mirror has genuinely soured relations, as our analysis reveals. But I suspect both parties need one another equally and that, after some contract tightening, normal business will be resumed. 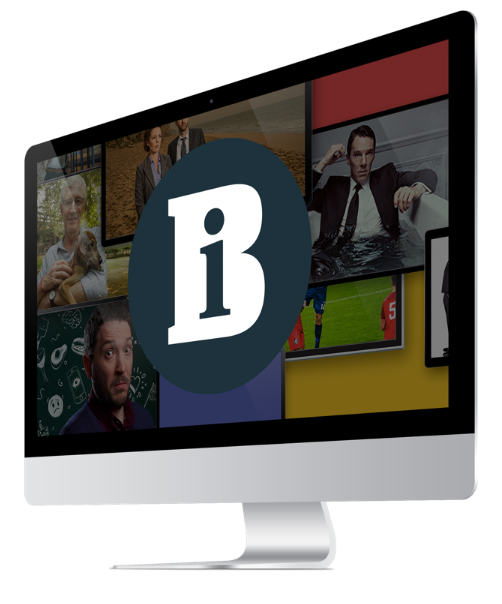 UK broadcasters will be wary of the prospect of OTT giants pinching hit shows they have helped to establish, and the indie community should recognise the role that domestic channels play in making innovative British content so valuable around the world. It is vital for all parties that such a key relationship stays strong. In the week ahead of Mip TV, it is worth noting the scale of ESG’s international footprint. Its Chinese arm has just struck a deal to remake Hunted for Shenzhen Satellite Television and its scripted business in Turkey is going great guns – hit drama Intersection is one of our Hot Picks for the Cannes market. We have also selected another 39 UK and international titles ripe for acquisition or format deals in Cannes, ranging from ITV and Mammoth Screen’s imminent royal epic Victoria to BBC2’s reboot of Robot Wars from Mentorn. If that range of shows doesn’t excite you, nothing will. Enjoy the market. Peter Salmon is to make a surprise move to Endemol Shine Group after just six months in charge of BBC Studios. Endemol Shine Group’s digital chief Georg Ramme is to leave the company and will be replaced by commercial boss Wim Ponnet.